UNLAWFUL BUILDING IN ITALY: What's unlawful building? Unlawful building in Italy occurs whenever an urban intervention without the required licence is undertaken. It constitutes an infringement both on penal and administrative level. Liability arising from any breach of planning legislation may be attributed to the client of the urban project, the contractor or even the site manager. The latter may not be held liable should he contested during the ongoing project to the other parties any breach of building licence provisions, providing as well reasoned notification to the competent local office principal and officer. In Italy, it is up to the competent local office principal or officer to take action in order to prevent and clamp down unlawful building events. Both official figures have the responsibility to monitor the urban and housing activity on local soil in order to ensure compliance with rules of law and regulations, provisions related to planning rules and regulations and practises set out in title work. Building related offences are of infringement nature and subject to the punishment of detention and fine. Criminal police officers and agents, once there is proof of unauthorized building, are obliged to give notice to the judicial authority and to the competent local office principal, who will verify regularity of the building within 30 days and decide on consecutive measures. - execution of work in the absence of or in case of non-conformity with building licence, despite the order of supervising the work (detention up to 2 years and fine starting from € 5.164,00 to € 51.645,00). In this latter case, the Court, after the conviction, will order demolition of the unauthorized building. - unlawful apportionment of land for building purposes (detention up to 2 years and fine starting from € 15.493,00 to € 51.645,00). Decree which ascertains unlawful apportionment also instructs confiscation of land and eventual buildings constructed over it, those are acquired by right and at no cost they become property of the local Municipality where the offence occurred. The voluntary removal of unauthorized building through demolition or restoration of the site original state will determine termination of permanence of the criminal offence and consequent potential application of case of exemption from criminal liability for the act being of tenuousness, in compliance with Art. 131 bis of Criminal Code. Crimes derived from unlawful building are subject to prescription. Prescription represents a modality of extinction of the offence, as a result of a certain period of time elapsing, without a final judgement being given. - in 5 years from completion of offence (standard prescription) if an interrupting act, as for instance the summon to appear before court, occurs. - if no reporting has been made and the unauthorized building has been completed, prescription terms run from the moment of termination of work. Unlawful building, as said, is also considered an administrative offence. With reference to that, however, prescription never takes place. In those cases, the local administration shall give evidence of public interest for building demolition, reasons shall be different from those aimed to restore legality and private interests accrued in the meantime shall also be taken into consideration. The time course, in other words, determines the need to significantly substantiate measures of repressive nature, such as demolition. - in case of failure to submit certified notification of construction work in progress, financial penalties is double of the increase in the property market value derived from implementation of interventions and in the amount not less than € 516,00. The risks for foreign investors who decide to purchase a property in Italy are several, to the extent that the property displays some building irregularities. Although the Italian law includes the obligation for the seller, under his criminal liability, to provide a thorough statement on the building regularity of the property he is going to sell, it often happens that the unauthorized building is ceded with consequent damage for the purchaser. The purchaser's most serious risk is the declaration of nullity of the finalized purchasing agreement. Declaration of nullity of the agreement involves as direct consequence return of the (unlawful) property to the seller, however for the purchaser it just results into the right of obtaining restitution of the paid amount, together with damage compensation. This amount may be difficult to reclaim if not after exhausting and extended enforcement procedures against the seller. Therefore, by means of declaration of nullity, the purchaser shall immediately find himself divested and remain a creditor of an amount of money which is merely theoretical, since this amount has to be found in the seller's pockets and acquired in compliance with law enforcement procedures. And, even though one may think that it is up to the Notary to guarantee in this respect the sales, this is wrong. The Notary in our legislation does not have any role in checking the property building regularity, and may only warn the seller by requesting to undertake his declaration under criminal liability, and accept this declaration. This is why, the execution of a property “Due Diligence” may very often safeguard the buyer from risky transactions. Investigations on a property, or even on an entire real estate, will have as target verifying the property regularity in terms of planning, constructing, engineering and land register, through an investigation process aimed at checking compliance with current rules. It allows a complete knowledge of the property and defines its value, it identifies any property binding conditions, verifies existing issues, including establishing the full ownership of the property, the existence of mortgages, bindings, bondages and anything which is connected with planning and land register conformity. 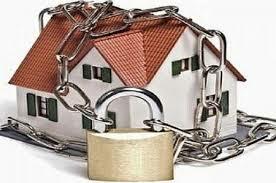 It consists in the property conformity in terms of structure and engineering with the sectoral legislation. Search for files regarding the property is essential and very significant, Due Diligence accuracy directly depends upon available documentation. Do you wish to receive further information about unlawful building in Italy or legal advice in regard to due diligence? Contact us.